Many adult golfers wish they had started to play the game earlier than they did; often it was simply a lack of opportunity. 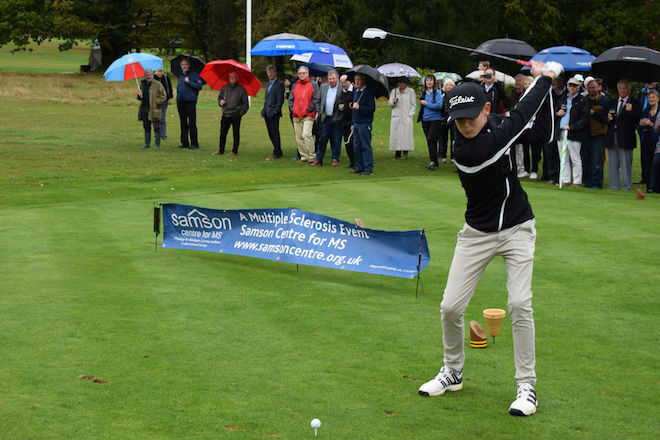 At West Surrey we seek to provide youngsters with an early introduction to golf, to the fun and challenges it offers and the chance to learn the necessary playing skills as well as absorbing the culture of the game. And all this within a supportive, safe and enjoyable environment. 1. TriGolf– a fun way to introduce youngsters aged 4 to 6 to the game. 2. Golf Roots Golf Passport- a national structured learning programme for ages 6 to 12, established by the Golf Foundation which brings a youngster up to readiness for club membership. 3. Junior Academy– this involves practical coaching and instruction leading towards a player’s first handicap. Once a playing handicap has been obtained, the Club offers a variety of competitions for Juniors with some involving other sections of the club. As the parent of a young child interested in finding out about golf, one of your key concerns, quite understandably, will be how we manage our Juniors in respect of Health, Safety and Welfare. The following documents will show you the set up we have at West Surrey and confirm that your child’s welfare will be safeguarded at all times. For more information or to discuss how your child could participate, call the Club Secretary James Newman on 01483 421275.